Consider this post a victory speech for the people of Arizona. Their legislature was clearly trying to pull one over on the voters. In effect, they voted unanimously to put the clamps on citizens initiatives, like the current effort to ban photo ticketing in Paradise Valley, which will soon be joined by those in Scottsdale, Phoenix, Tempe, etc. Prop 112 received little press outside of this site and was so close that it went to a recount, which will be validated this coming Monday. CameraFRAUD has been given the numbers and are happy to announce that it will fail by approximately 190 votes. 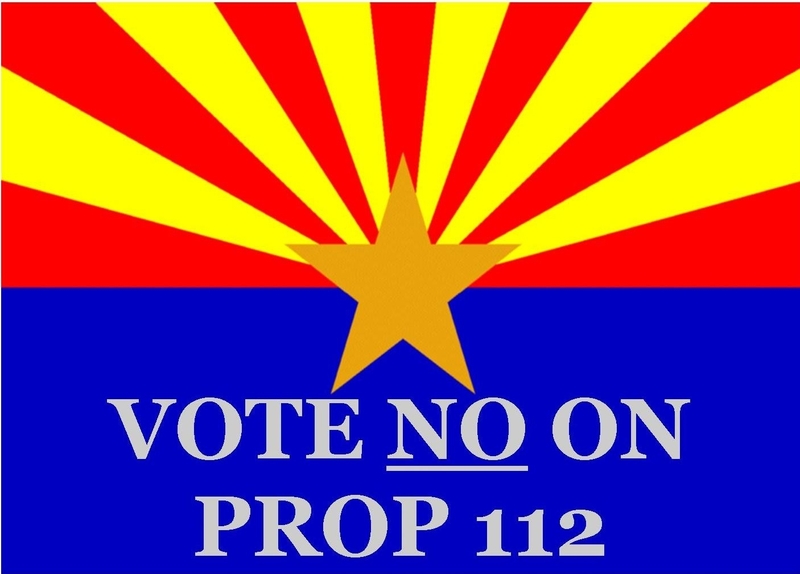 We’d like to thank everyone who read our original post, “Vote No on Prop 112.” With more than 1,000 views leading up to election day, it’s clear that you were able to swing this one the right way! Zero thanks go out to AZ State legislature. You have been a poor representative of the people and were out to deceive them with this proposition. Just remember that we are going to be watching you very closely in 2011. It used to be so much easier to sweep these things under the rug, eh mates? Australia’s Redflex Traffic Systems (ASX:RDF) has had enough trouble brushing off all the bad press and embarrassments, but now the highlights have been chronicled for all to see on FireRedflex.com. This website could easily serve as a guide for ordinary citizens or even elected officials to object to lobbying efforts by this foreign, for profit organization. With Redflex’s days in AZ coming to a close soon, they are undoubtedly scrambling to find more municipalities that don’t mind having the wool pulled over their eyes about this dangerous system of “enforcement.” People of California, are you paying attention? If your city is currently under surveillance by Redflex, mentioning this website at the next City Council meeting is a great way to educate those who still believe the “It’s All About Safety” rhetoric. I think he really needs that file. (Click to view/download .pdf). 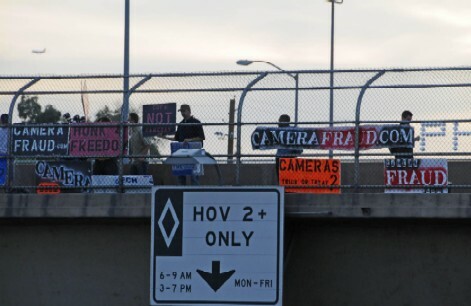 While the profitable and cash-rich automated ticketing industry gears up to spend millions to fight Arizona’s citizen initiative to ban the cams, grassroots activists reach people in more creative ways. That includes no-frills fliers that maximize the utilization of the resource at hand ( in this case, paper and toner). Once cut to size (we recommend using a paper cutter), each sheet yields 8 handouts. Don’t bother printing them in color— instead, consider purchasing a pack of brightly-colored papers. Our favorite is yellow, making the fliers look like post it notes. Each ream of paper, 500 pages, will yield 4,000 fliers. Average cost? $10. 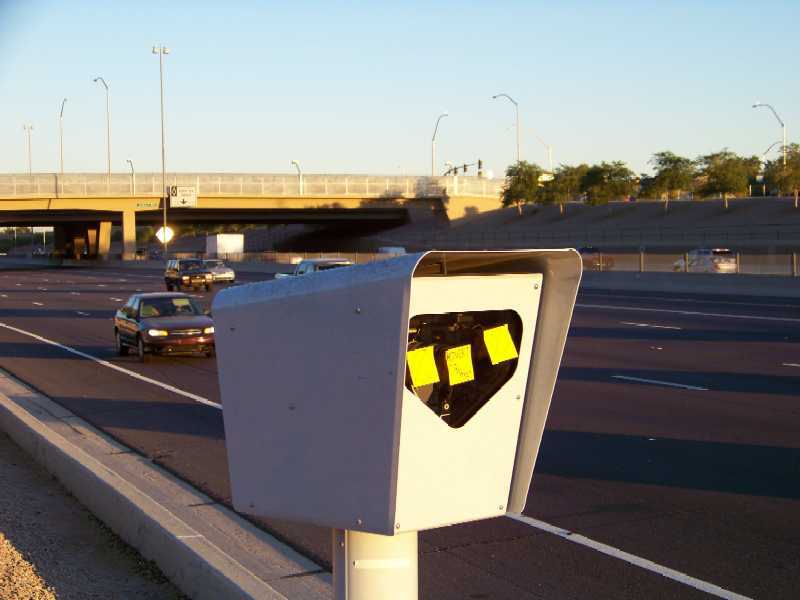 For the price of a single scam cam ticket, you could create an 80,000 flier nightmare for the politicians, executives, and employees involved with photo radar surveillance. WHY: It’s fun, the weather is beautiful, and the drivers love us! HOW: Just show up. Bring a sign or use one of ours! RSVP here, or to be notified of future events. DPS political officials, co-conspirators in the biggest case of FRAUD in the history of Arizona, have released their much-anticipated photo scam numbers. 40,000 automated tickets have been generated out of thin air within the past two months, according to the Associated Press. CameraFRAUD estimates that the illegitimate and fraudulent tickets have a street value of over $6.6 million dollars, if the theft of $165 is successful in all cases. CameraFRAUD.com, the leading activism group promoting the elimination of photo enforcement, will be taking the fight directly to the heart of the Australian beast: Redflex Headquarters. An unknown group of people have been quietly expressing disapproval with Arizona’s new freeway photo scheme by taking a unique approach, potentially putting Redflex in a “sticky” situation. The end result of the mystery activists’ efforts is the placement of Post-It notes on photo scam equipment throughout the valley. Reports have surfaced that numerous cameras have been involved over the past two weeks. At least two local Phoenix television stations are known to be researching the incidents. Arizona Secretary of State Jan Brewer last week confirmed that documents used to convict motorists… contained elements that had been falsified. Brewer revoked the license of Cheryl Krough, notary public for photo enforcement vendor Redflex after concluding that she violated four Arizona laws while purporting to certify a speed camera deployment form for use in official hearings.